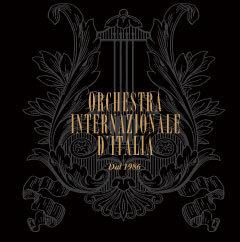 The Orchestra Internazionale d'Italia was founded in 1986, carrying on the preceeding experience of the Orchestra Internazionale des Jaunnesses Musicales. Since then it has given more than nine hundred symphonic concerts and opera performances for several theatres, concert associations and festivals in Italy and abroad. In those years its main conductors have been Donato Renzetti, Lü Jia, Antonio Cipriani and Diego Dini Ciacci. The Orchestra was also conducted by Marcello Viotti, Salvatore Accardo, Fabio Luisi, Aldo Ceccato, Massimo Freccia, Peter Maag, Cristian Mandeal, Carlo Franci, Milan Turkovic, Thomas Sanderling, Jean-Jacques Kantorow, Alberto Zedda, Ennio Morricone, Bundit Ungrangsee, Manuel Galduf, Pedro Halffter, Ignacio Yepes, Marko Letonja, Tyrone Paterson, Hansjoerg Schellenberger, Corrado Rovaris, Marco Guidarini, Renato Palumbo, Giuliano Carella, Horia Andreescu, Omer Meir Wellber, Karina Cannellakis, Daniel Cohen; and recently also by Andrea Battistoni, now First Conductor of the Tokyo Philharmonic Orchestra. It collaborated with artists such as Mstislav Rostropovic, Viktoria Mullova, Anne-Sophie Mutter, Salvatore Accardo, Uto Ughi, Murray Perahia, Joshua Bell, Jlya Grubert, Alirio Diaz, Natalja Gutman, Radovan Vlatkovic, Kyung-Wha Chung, Leonidas Kavakos, Hansjoerg Schellenberger, Massimo Quarta, Julian Rachlin, Igor Oistrakh, Jean-Pierre Rampal, Rosalyn Tureck, Marin Cazacu, Alexandra Gutu, Federico Mondelci, Gabriele Pieranunzi; and with the most well-known lyric singers, among which Luciano Pavarotti, Josè Carreras, Renato Bruson, Rockwell Blake, Raina Kabaivanska, Katia Ricciarelli, Nazareno Antinori, Francisco Araiza, June Anderson, Cecilia Gasdia, Patrizia Ciofi, Daniela Dessì, Elena Obratzova, Paolo Coni, Anna Caterina Antonacci, Eufemia Tufano. The orchestra took part in more than 30 TV programmes (among which 4 in World broadcast and 2 in Eurovision) in Italy, Spain, Brazil and China and it has made almost 80 CD recordings for Italians, Spanish, English, Japanese, New Zealand, German and Thai labels. 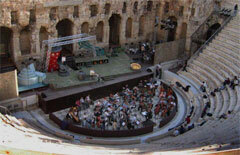 The Orchestra Internazionale d’Italia has been awarded the European Prize for Culture as Symphonic Orchestra 1997.